Dandelions have been in full bloom in the Guelph area since the Victoria Day holiday weekend and all that is about to end. This time of year you can get a really good idea of how high dandelion populations are in turf areas. Guelph is a sea of yellow soon to become a sea of white puff balls. Our dandelion populations are very high to say the least. 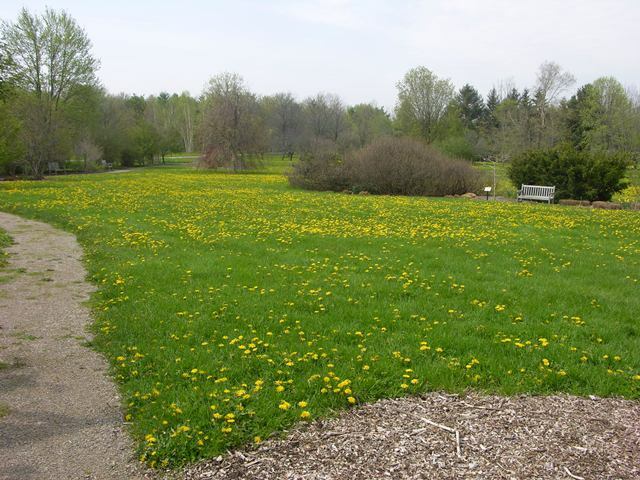 The good thing is that once those bright yellow flowers are gone, a turf stand that is heavily infested with dandelions doesn’t look nearly as bad. That being said, now is a good time to apply Fiesta applications. 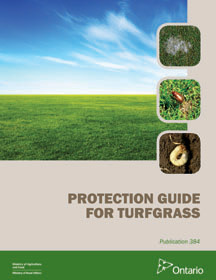 Our research has shown that the 200 mL rate applied four times a year as per the label controls many common species of broadleaf weeds in turf. It may take a couple of seasons of Fiesta use to reduce the weed populations down to levels below 5-10% weed cover. Remember that Fiesta alone will not keep a lawn weed free. Proper fertilization, frequent mowing at the correct mowing height and irrigation during dry periods are all important cultural practices that help keep weed populations at bay. Research conducted here at GTI in the early 2000’s showed that we could control weeds in passive turf areas simply by providing adequate nitrogen for optimum turf growth throughout the season. We (Dr. Michael Brownbridge and his gang) and my gang seeded a new research trial on a sandy site near Fergus last week. The thin grass areas around our site had loads of crabgrass in them already. Of course this makes sense because Forsythis were in peak bloom last week. For lawn care this means that it is now too late to apply any of the corn gluten products against crabgrass. For the golf course sector, there is still time to apply a product like dithiopyr. 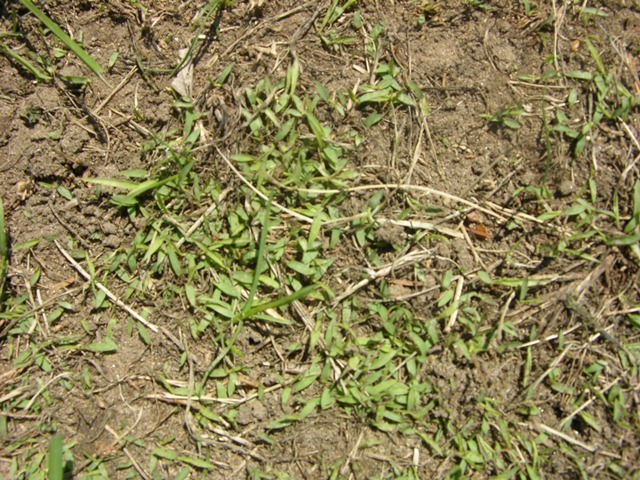 It can be used up to the three leaf stage for post-emergence crabgrass control. This round of thundershowers that are moving through southwestern Ontario now will provide the soil moisture that is needed for another flux of crabgrass germination.